A REST-API for sending and receiving messages in real-time per web socket. 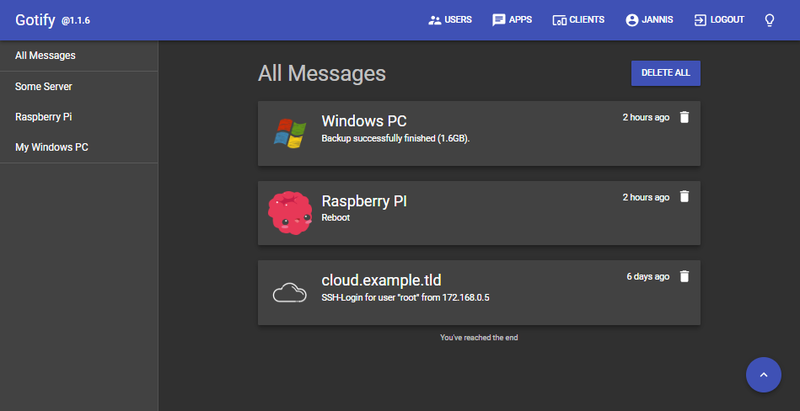 a simple server for sending and receiving messages (in real time per web socket). For this, not many open source projects existed and most of the existing ones were abandoned. Also, a requirement was that it can be self-hosted. We know there are many free and commercial push services out there.